Describe the culture of INTECSEA. INTECSEA truly feels like a unique place to work. While being part of the much larger WorleyParsons organization, it still manages to feel small and accessible for most. 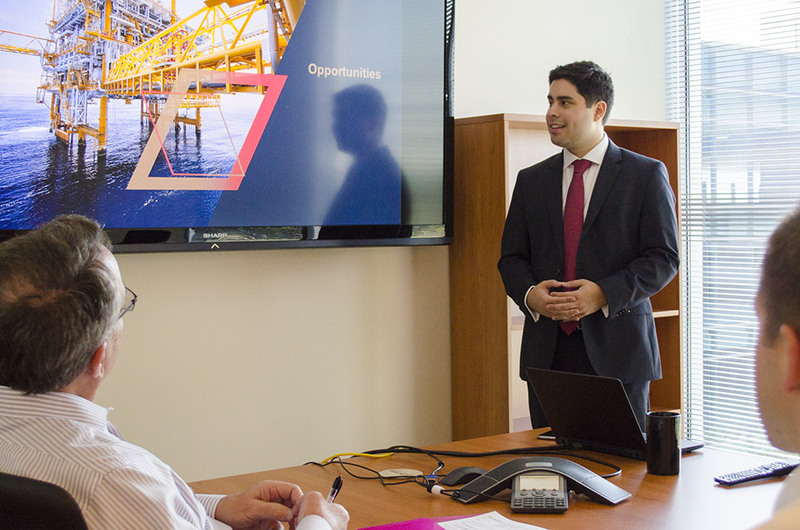 Having a fluid structure as opposed to a rigid organization helps INTECSEA remain a catalyst for new ideas and innovative ways to bring solutions to the global oil and gas industry. How has INTECSEA added value to your new career? INTECSEA has significantly contributed to my career development by allowing me to experience a wide array of functions. This flexibility - combined with a great pool of knowledgeable and caring managers - has increased my understanding of INTECSEA’s strengths and weaknesses as well as my own. It is a place that provides an environment where I can develop not only my managerial abilities, but also my skills as a future leader. What attracted you to INTECSEA as a graduate? INTECSEA is well known in the industry as a market leader for complex, high-end engineering services. These qualities combined with the far reaching global presence of the WorleyParsons Group provided a convincing case to consider INTECSEA as a potential workplace.